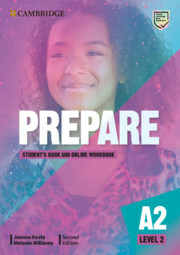 PREPARE 2nd edition Level 2 combines 'teen-appeal' topics with gradual preparation towards the revised 2020 A2 Key for Schools exam. Students will enjoy interactive, personalised lessons with themes and resources relevant to their interests. The new Life Skills approach inspires learners to expand their horizons and knowledge and includes insights from The Cambridge Framework for Life Competencies. 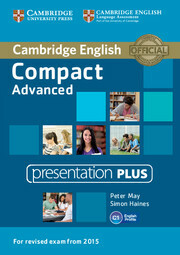 Teachers can relax knowing every unit drives students towards exam success and that the course is creating confident English users with the enhanced vocabulary and grammar syllabus. The access code for the extra language practice in the Online Workbook is inside the book.